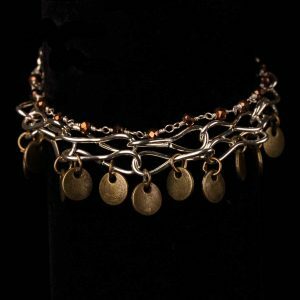 #90 Gypsy Style Bracelet With Brass Disks. 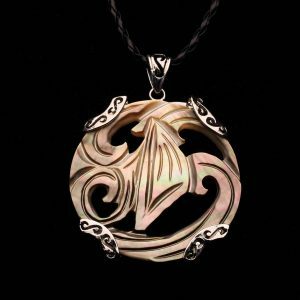 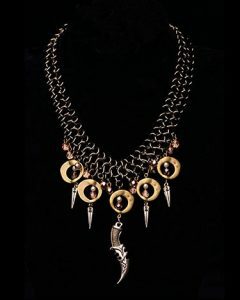 #96 Braided Necklace With Abalone/Maua Shell Pendant. 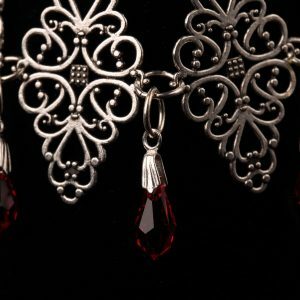 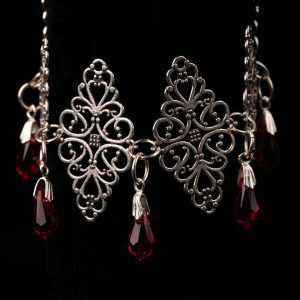 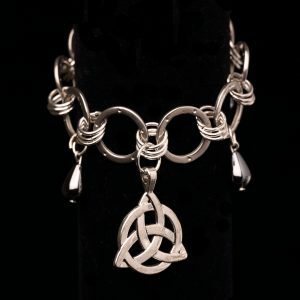 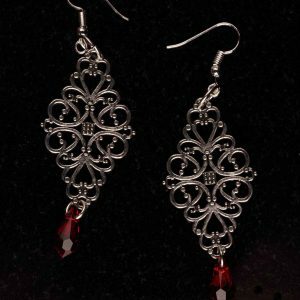 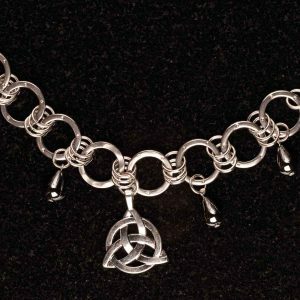 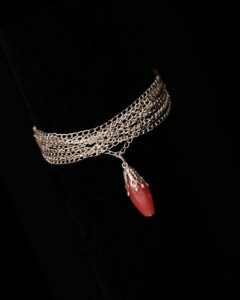 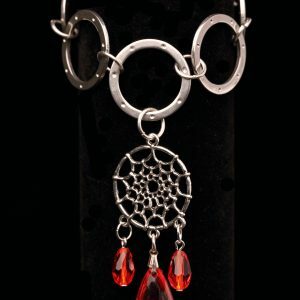 #104 Filigree Bracelet With Siam Red Swarovski Crystals. 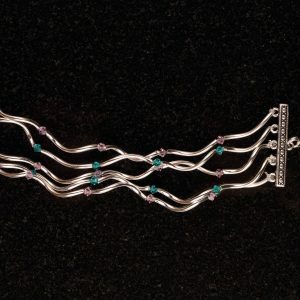 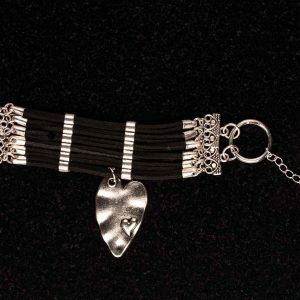 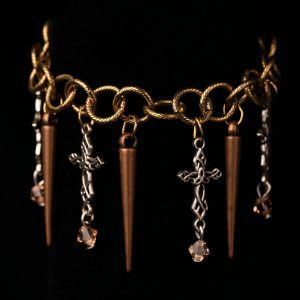 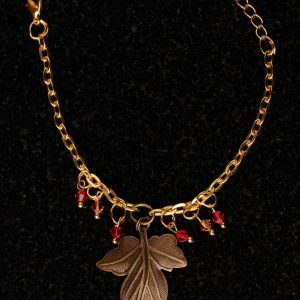 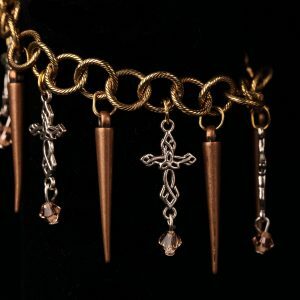 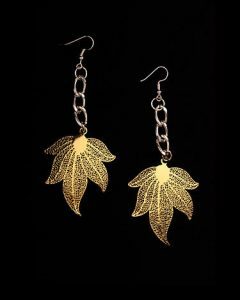 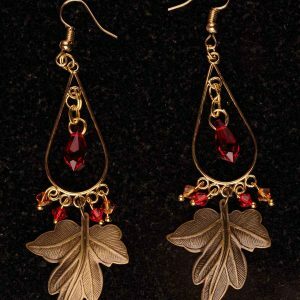 #107 Bracelet With Bronze Leaf And Swarovski Crystals.